This unique self-etch formulation incorporates new resin technology for enhanced bond strength with greater reliability. 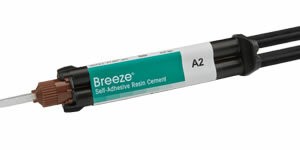 Upon application, Breeze™ Cement quickly goes to work to condition dentin and enamel. Add strength and remove sensitivity and confusion from virtually every bonding procedure with Cement-It!® Universal C&B resin cementation system from Pentron®. 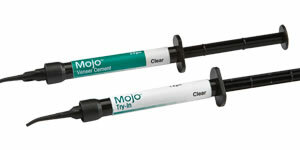 Mojo™ Veneer Cement is a light cure, esthetic cementation system that is designed for use with porcelain, ceramic and composite veneer restorations. Build-It!® F.R. is an ideal fiber-reinforced, dual cure resin core build up material conveniently delivered in a Mini-Mix syringe or a 25ml automix cartridge. 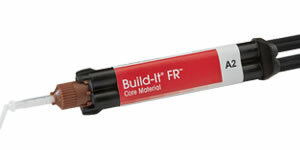 Several innovations make Build-It!® F.R. : Better - Faster - Less Expensive.